When shopping for an Entertainers, its important to find an act that's both politically correct and experienced. You're paying not just for the show but for the piece of mind. Rio delivers a great close-up show and leaves YOU looking like a PRO! Rio's client list reads like the Fortune 500! Corporate Magician, Comedian, Entertainer or whatever you want to call him, the chemistry between Rio and his audience is amazing! They LOVE him for the moment he appears and remember him and his magic for years to come. Please click the topics at the top for the answers to all your questions and concerns.  Start share your experience with Magico today!